This is a webtool for uploading your generated Linked Drug Data datasets, for automated interlinking and publishing according to the Linked Data principles and best practices. You can find more info about the LinkedDrugs project on GitHub. The dataset is also available at Datahub.io. A journal paper describing the dataset and its usage, along with the methodology and tools behind it, is available at the Journal of Biomedical Semantics. 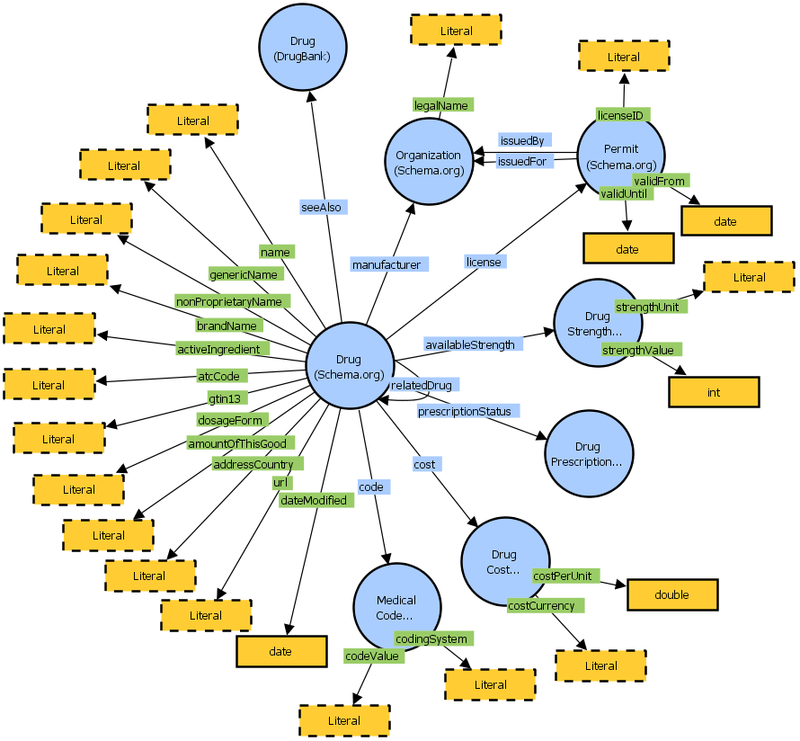 The Linked Drug Data dataset is used by the Global Open Drug Data (GODD) web application. Developed by Milos Jovanovik. Copyright 2016 - 2017.